Audi of Mississauga offers a full range of services to help keep your vehicle in top condition all year long. Book your appointment today, and experience service at its best! At Audi of Mississauga, we’re proud to offer high-quality Audi service to our customer in Southern Ontario and the Greater Toronto Region. Because we employ an award-winning team of technicians who receive factory training on a regular basis, your vehicle is assured the very best care. Before you hit the road this season, let our Audi-certified service experts at Audi of Mississauga handle all of your needs for Audi maintenance and repair service in Mississauga and the GTA. In our state-of-the-art Audi service centre, we are qualified to service gas, diesel, and hybrid powertrains, and use certified computer diagnostic equipment to ensure absolute precision in everything we do. Audi of Mississauga's service and parts departments are open Monday through Friday from 8 a.m. to 5:30 p.m., and we also provide extended hours on Tuesday and Thursday until 8:00 p.m. We're also open Saturdays for service and parts from 9 a.m. to 1 p.m. No matter what your vehicle needs, weère here to help! We'll be pleased to arrange an appointment that's convenient for you. At Audi of Mississauga, we invite you to check out our incredible selection of certified Audi parts and accessories. 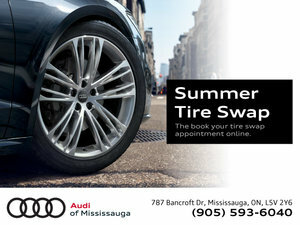 Audi of Mississauga has an in-house parts counter, and we install tires and genuine Audi accessories on-site. 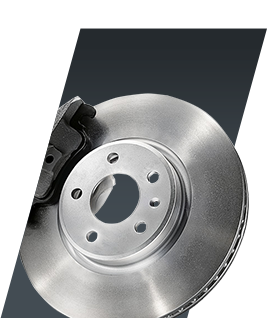 We carry a large selection of Audi gift items in our parts department as well. Whether you wish to replace a faulty part, upgrade your vehicle’s functionality, or even customize it with a genuine Audi accessory, our parts and service department can meet your needs. While cheap aftermarket parts might save you money in the short term, only genuine Audi parts & accessories have been expertly designed and rigorously tested to ensure that they work with your vehicle, and not against it, saving you money down the road. And if we don’t have a part that you were looking for, simply fill out our online parts order form. We’ll order the part directly to our shop, and even install it for you on-site while you wait. 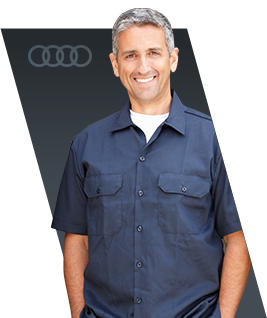 At Audi of Mississauga in Southern Ontario, your vehicle is in good hands. If your vehicle is in need of some TLC, our collision centre has what it takes to get the job done. From minor scrapes and scratches to full auto body restoration, our collision centre is equipped to deal with issues of all kinds. Plus, we're Audi Factory Approved, and all of our work is performed by Audi body repair and paint refinishing specialists. What’s more, all of our work is guaranteed and may be covered under your vehicle’s warranty. 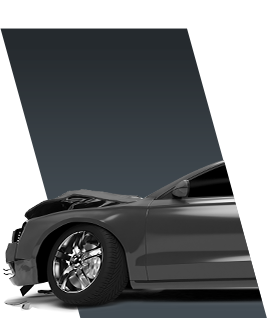 We deal with a variety of insurance providers, to ensure that you can get fast and easy approval for your vehicle repair. We’ll take care of the paperwork for you, so you can rest easy knowing that you’ll have a quick and hassle-free experience. Our collision centre is located to the rear of our Bramgate Pre-Owned Vehicle Centre, 1 km west of Highway 410 at 268 Queen Street East, Brampton, ON. We're open Monday to Thursday from 8 a.m. until 5:30 p.m., as well as Friday from 8 a.m. until 4:30 p.m. We look forward to seeing you there!